On 11 August, a minor patch is scheduled for version 9.15.1 that will fix the interface and other update bugs. Thanks to the feedback received from players, the development team has pinpointed and fixed the disclosed issues at short notice. Important: After the release of the micro update, the file structure of the game client will be changed, after which third-party modifications for version 9.15.1 will not work for some time. 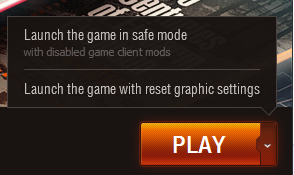 In order to avoid technical problems with the game, the client will change the main folder for modifications. It is strongly recommended to refrain from installing mods and to wait for their updated version, which will be adapted to the current version of the client. Fixed the issue where object markers on the minimap were bigger than in Action Script 2 (9.15), after the transition to Action Script 3 (9.15.1). Fixed the issue where several minimap quadrants were highlighted at once if a player rapidly pinged multiple quadrants one by one. Fixed the issue where the Combat Reserves (Airstrike and Artillery Strike) activated in a Skirmish or Battle for Stronghold were sent back to the Depot. Fixed the issue where the spectator was in an MS-1 tank, which did not participate in the battle, prior to the beginning of the battle. Fixed the issue where the statistics for the Historical Battle mode were not present in the Statistics tab. There are many players who play using different client modifications. We remind you that these modifications are not created by Wargaming, but by third-party developers and users. So, with the release of official World of Tanks updates, issues can occur with your game client due to these modified files: things such as decreased game performance, freezes, crashes, missing textures and other problems. In most cases, such problems are solved by deleting the game modification – however, sometimes a complete clean reinstall of the game is needed. Important: Wargaming is not responsible for game-client issues due to modified files.